We already suspected it from the quality of the pre-releases this year, but all our doubts where further taken away at the first day of the 2019 edition of SIHH: the watch industry is thriving! It showed this not only by many new creations but also by the beautiful different interpretation of familiar models. HYT dived into the fine print of their DNA and offered stunning varieties of their famous watches with their unique liquid technology. The brand paid this year even more attention than they normally already do to the finishing of their pieces. The result is an expansion of the collection with watches that are intensely captivating. IWC focussed this year on their collection of Pilot’s watches. The brand has a very rich history with this and showed that to the visitors of SIHH 2019 by turning their booth into an airplane hanger, complete with a real Spitfire. One of the stars of the show, next to the models we showed you yesterday, is the Pilot’s Watch Chronograph TOP GUN Edition “Mojave Desert” with eyecatching sand colored ceramic case. Priced at $8.200,- it shows the sensibility and strength that IWC put into their new collection. Especially since this model is fitted with an automatic manufacture movement. Things got really sweet at Richard Mille, literally, because the brand focussed this SIHH on their ladies collection with as theme fruit and candy. The way that Mille incorporated these topics into his creations is by a mixture of old-school craftsmanship combined with high-tech materials in the sweetest colors available. The result is nothing less than mouth-watering! Each piece is crafted with an incredible eye for detail, and really embody the fun element without taking away from the fact that they are truly Haute Horlogerie creations. 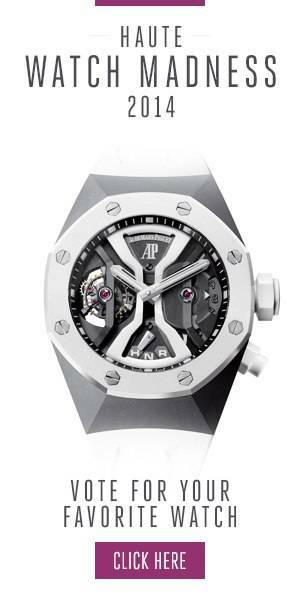 Another testimony that the industry in general, and Richard Mille especially, is thriving!